AcroYogaDance Academy is a unique learning experience whilst being part of a loving family. We take you through inspiring sequences and flows whilst learning the Art of AcroYogaDance. The Academy unleashes your creativity, whilst developing skill and allows space for your individual take on AcroYogaDance. The main reason for the Academy was we were not seeing students progress enough or reach closer to their capabilities before we launched the Academy. Since then we have had major break throughs, we’ve got bases basing both reverse and hand to hand (which was far from a dream last year) Flyers, taking it like a duck to water - with of course, still goals and things they’d like to achieve. I started acroyoga in September last year after watching a short youtube video of Pip and Eugene. I found them on the internet and contacted them immediately to express my interest in their work. I joined the Academy soon after and I'm with them ever since. At every session I'm leaving the class feeling amazed with my progress. I got to know many wonderful people. We all feel connected on a very deep level and genuinely support each other in our practice. AcroYogadance attracts like minded individuals and since we have been running Academies, where the students see the same people each week. Its become a very cosy AcroYogaDance Family and is the highlight of our week (and hopefully theirs too)! We progress everyone with AcroYogaDance methods by using our AcroYogaDance syllabus. This is an ongoing programme with a minimum of 6 months commitment, focusing on technique, training, syllabus, performance and creative. We are currently taking applications to apply for Level 3/4 Academy. If you are above this level please contact us directly. Please make sure to apply with the links above or below. We will be in contact within 3-5 working days. I did a quick taster session with Pip and Eugene last summer. And after only 2 hours I was hooked. They are great teachers and what they do is truly inspirational. After my taster I did a weekend workshop, which just proved to me how much I enjoyed learning with the acro yoga dance team. Every so often there is opportunity to work with AcroYogaDance on performance. This is an enjoyable way to work as a team, working towards creative performances and to demostrate your good work. 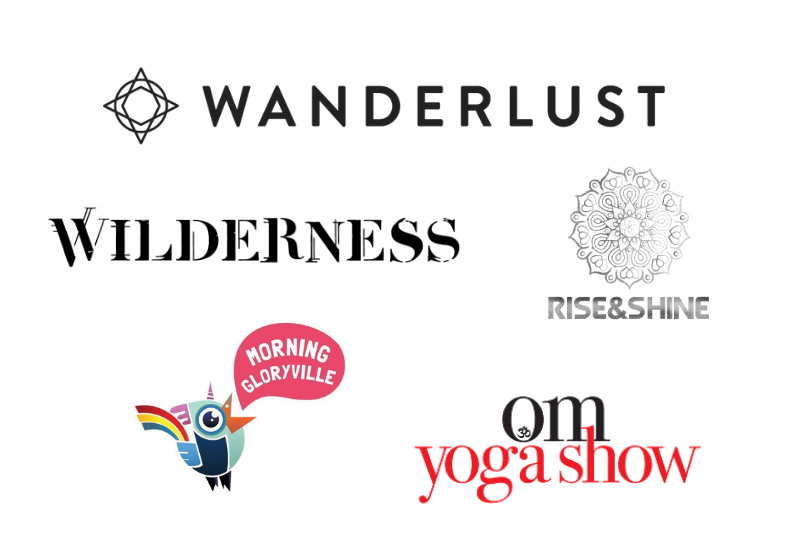 Some past performances have included Wilderness Festival, Evening Of AcroYoga & Rise/Shine. This is not a necessity to be a part of but very complimentary for your self growth. 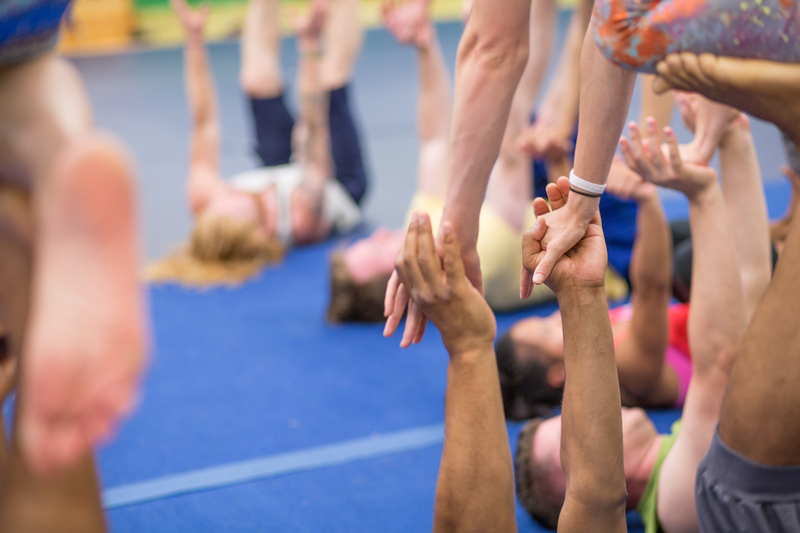 There are different approaches to AcroYoga. Our approach is AcroYogaDance is a partner yoga practice which embraces partnership and evolves into a moving meditation. AcroYogaDance is an art form, something wonderful not only the partners practicing it but also to those who witness it. We love bringing beautiful and elegant transitions, making them simple so that with practise can evolve into stunning sequences which eventually will feel like a dance. Repetition is the mother of skill which will enable you to feel the movement and automatically respond to your partner with fluidity and grace. Pip and Eugene are excellent teachers and they are committed to their students' progress and success. I joined their academy last September and I love it. My acroyoga skills and practice have improved drastically, not only through them directly, but also through the community they built. The Thursday class is full of loving and supportive people who motivate and support each other. I can't wait to see what else Pip and Eugene have in store.